Interesting transfer news are out claiming that Manchester City are making Porto defender Eliaquim Mangala a priority target for the January market. 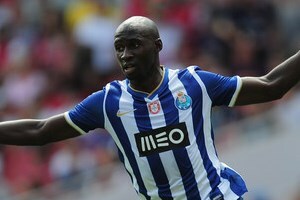 The Daily Star Sunday revealed that the Premier League giants will make a £30million move for Porto central defender Mangala as soon as the transfer window reopens in January. New City boss Manuel Pellegrini is planning to steal a march on Chelsea and their bitter rivals across town, Manchester United, who both want Mangala, 22. The French defender revealed that City made a late approach for him just before Monday’s transfer deadline. But Porto said that the move was too late for them and would leave them without enough time to source a replacement – although they left the door open for City to return in the new year.